Tsuga Fine Art invites you to a free, opening-night reception of the exhibition, Deconstructions. 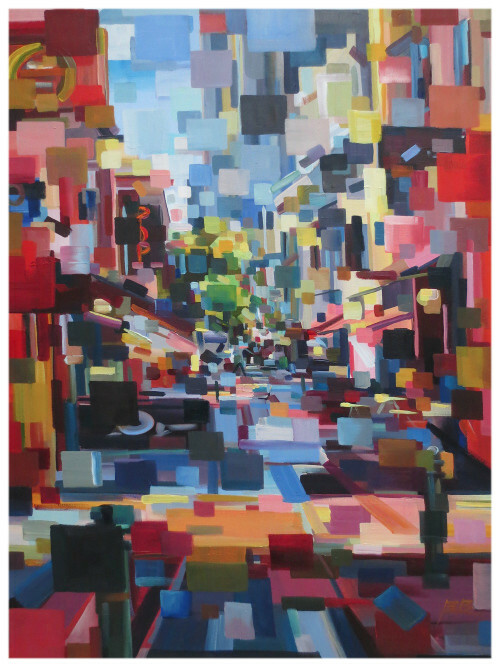 The show features dynamic new work by local painter Brooke Borcherding, highlighting her trademark abstracted cityscapes and views of nature. You are invited to meet Brooke at the reception and ask her about her inspiration and techniques. The evening features light refreshments, great art and good company. All are welcome. 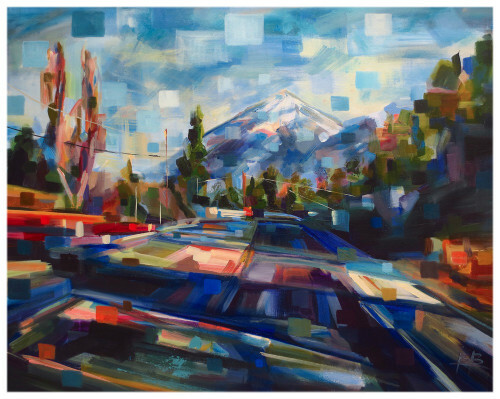 Brooke is a 29-year-old, award-winning fine artist who is dedicated to exploring the landscape through paint. 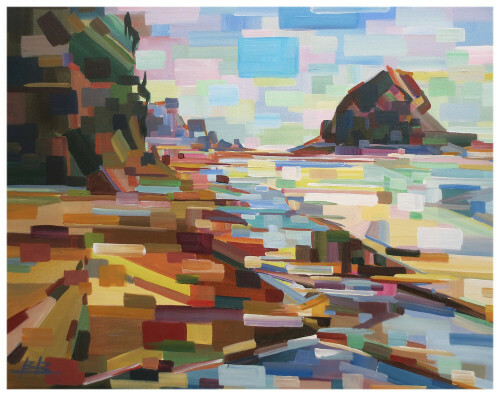 Growing up painting palm trees of southern California, a move to Oregon to pursue her BFA inspired her to take an easel outside for the first time in 2009. Her current work of deconstructing the landscape aims to shed light on the beauty of ordered chaos. The goal is to create an engaging scene that takes you deep into the visual space and dances between the real and the inevitable unreal of paint on a canvas. Brooke is a full-time artist in Seattle. Please feel free to share this with friends and family! Copyright © 2017. Tsuga Fine Art and Framing, All rights reserved.